Macbeth, the Scottish play by William Shakespeare. 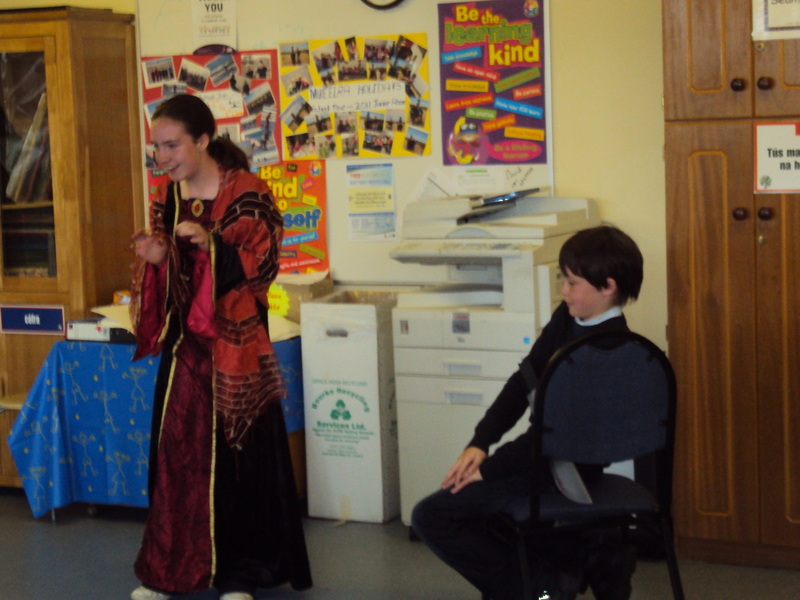 Macbeth is a story that fifth and sixth class pupils acted out on Friday 24 of June. 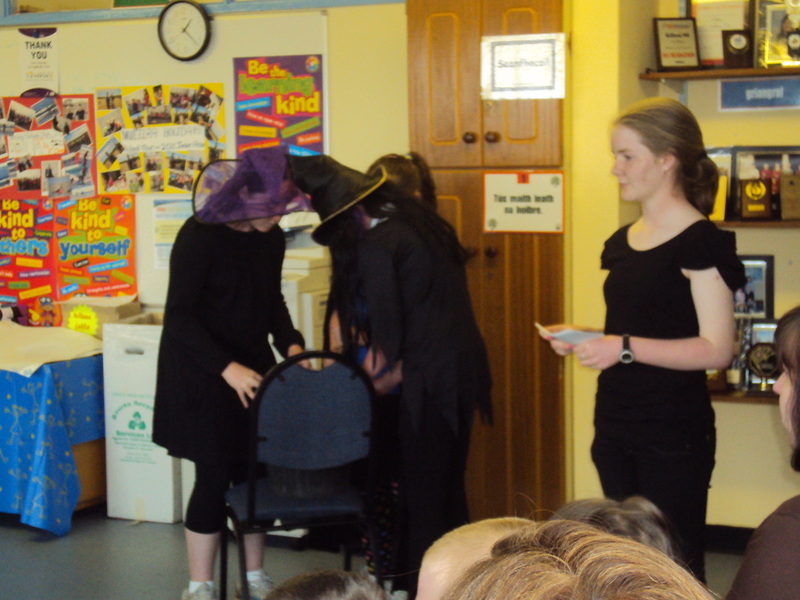 It is about a man called Macbeth who is told by three witches that he will become king, but his children won’t. When he returns home, his wife tells him he had better do something to become king and fast. So they devise many plans to kill him but they settle on stabbing him while he’s asleep. Macbeth proceeds to stab him but forgets to smear the bodyguard’s clothes with blood, so Lady Macbeth does it instead. The next morning, Macduff rides to the castle then sees the dead king and the bloody bodyguard. 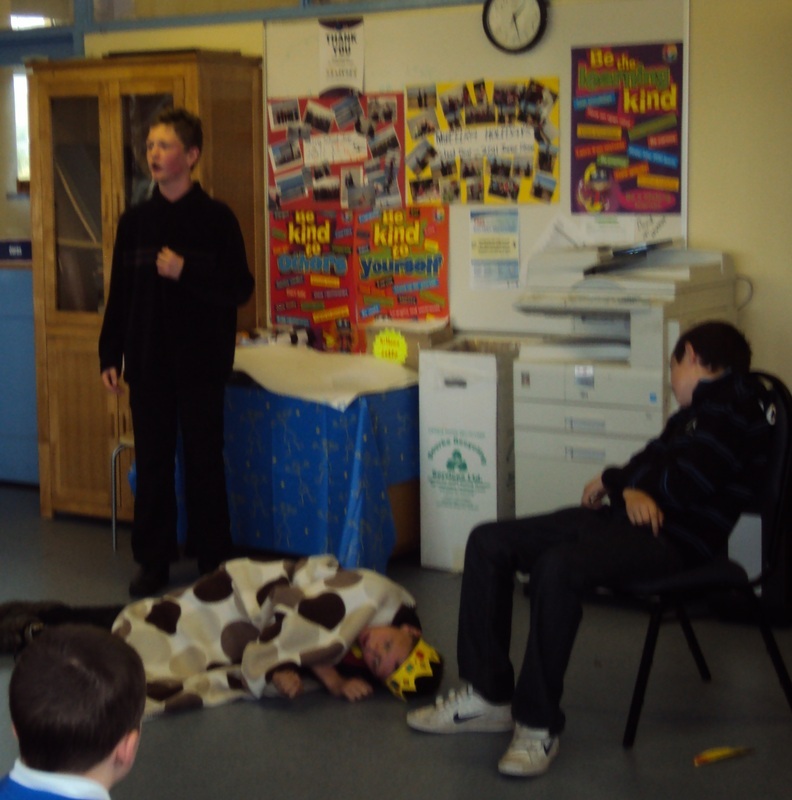 The bodyguard is executed and Macbeth claims the crown. Later Lady Macbeth realises that Banquo, Macbeth’s friend, must die as well. So Macbeth organises for three assassins to kill Banquo and his son. 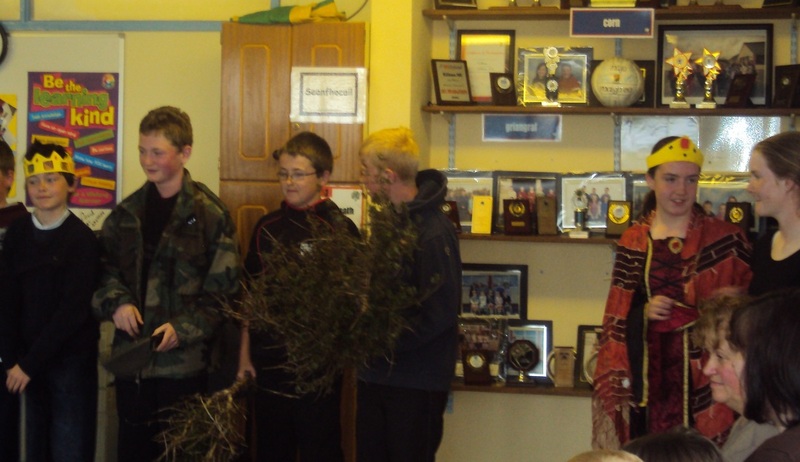 The assassins succeed in killing Banquo but fail to kill his son. Macbeth is angry and tells them to kill Macduff’s wife and kids. The next night, Banquo’s ghost appears to Macbeth and Lady Macbeth sees imaginary blood on her clothes. They start to go crazy when soldiers behind trees walk to the castle! The final scene was a fight between Macbeth and Macduff. Macduff wins, and cuts off Macbeth's head. By Luke Power, 5th Class.